Yeah I realise this chart is incredibly repetitive, but it's also honest. Comments are in the works, I pinky promise. Chart updated: 02/07/2019 23:45 (Created: 05/14/2016 13:48). Chart size: 77 albums. 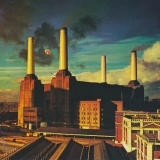 There is 1 comment for this chart from BestEverAlbums.com members and Top 77 Greatest Music Albums has an average rating of 84 out of 100 (from 4 votes). Please log in or register to leave a comment or assign a rating. John Frusciante, as the Red Hot Chili Pepper's guitarist, is of course and incredibly decorated and famous guitarist. However, very few people have listened to his solo stuff, and even those who have tend to drift to 'Curtains' or 'The Empyrean', so I believe this album is worthy of inclusion as a relative unknown. This is my all time favourite album. The layers of guitar, the ingenuity of instrumental, the pain of the lyrics and the feeling of the voice are all perfect in my opinion. If you are not willing to give this album 3 or 4 listens, don't bother. You will not like it the first time, however, if you have a few hours to spend, then go right ahead and you may find one of your favourite albums of all time. Often criticsed for the fact it is a double album, as people feel one album with select songs left out would have preferable. Definitely not the reality. The first side is clearly stronger, with perhaps only the title track coming close to a weak song. The second side has some songs that could be considered weak (perhaps Readymade, Storm in a Teacup) but if you're a fan, like myself, these songs are also great and belong with the bunch. This is the peak of Keidis as a lyricist, the man who once talked of partying on pussies, now speaks of love and where we come from. 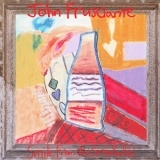 John Frusciante is once again floorless, his efforts to use every effect under the sun make for a colourful listening experience and every lick and riff is one that makes guitarist want to learn them. His backing vocals are also mesmerising (see particularly Slow Cheetah and Hey). Flea is as usual exceptional and redifines bass guitar (see particularly the outro of Charlie). Chad Smith shows his solidity and flair, and also demonstrates how to start the writing process with a drum beat (Stadium Arcadium). All round perfection. Frusciante goes from sounding like a drug addled, out of tune genius to sounding like Cat Stevans. This album, almost performed solo by John, has only one bad point, its so short. 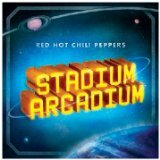 The guitar is beautiful, the songs are meaningful and Frusciante's voice is perfect and possibly at it's peak. Particular favourites are Anne, The Past Recedes and Your Warning. 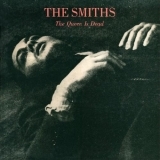 Will there ever be another band like The Smiths? This is a perfect album. Morrissey croones his way through the album, making you laugh, cry and think in equal measure. Every word is in its perfect place. Marr alongside him, makes the a partnership better than bangers and mash. Rourke and Joyce who never get any credit are also completely flawless. Pretty funky for a bunch of white guys eh? The best concept album of all time, perfectly bookmarked by two short, acoustic love songs. The middle three, lengthier songs all demonstrate Gilmour at his absolute best (see particularly Dogs about three mins in). The lyrics are so good, that you probably won't get them until you read up on the backstory (I had to). Even the cover art has a certain mystique to it. 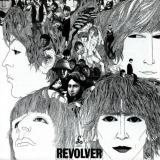 Can there be a more perfect Beatles album? No, I don't think so. This is an album with absolutely no weak songs, every song is an absolute joy and every song is under three minutes which gives a quick fire feeling that is hard to find elsewhere, in such high quality at least. Favourite tracks are Elinor Rigby and I'm Only Sleeping. 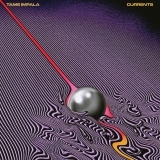 This marks the point when I really took notice of Tame Impala, the thumping bass on 'The Less I know the Better' is enough to perk the ears of a deaf man. The production is incredible, the songwriting is also magnificent, Parker draws you in with the stories and holds you there with his voice and his vast talent on numerous instruments. If you liked Niandra Lades, then you may be a member of the 0.1% of people who like this album. Frusciante himself doesn't like this album. It's completely understandable why people don't enjoy it. 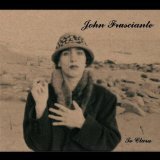 The album is a complete mess, Frusciante screams his way through it, you can barely understand any of the lyrics, some of the songwriting is shambolic (looking at you 'I May Again Know John'. However, I absolutely love it, River Phoenix makes a very enjoyable appearance, some other bits of songwriting are pure genius and I defy anyone to find an album with more raw emotion. Key songs include: Breathe, Here Air and I'm Always. 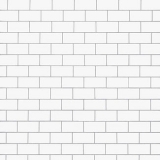 The Wall is once again a near enough perfect album by Pink Floyd. There is not much once again that I can say that hasn't been said before. Listen in the dark, late at night with headphones if you want my advice. 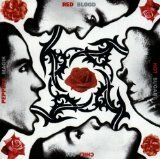 My favourite tracks: Goodbye Blue Sky, The Thin Ice, Young Lust. Showing all 4 ratings for this chart. Pretty repetitive but who can not repeat Smiths and RHCP? Waiting for comments of course!